Simply Waste Solutions Reward Staff With A Place At The National Refuse Championships! 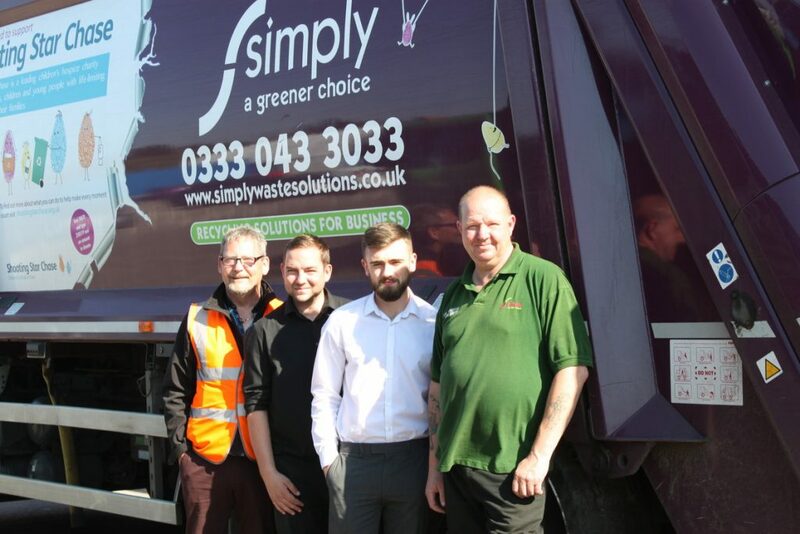 Employees at one of the UK’s largest and fastest growing independent waste management companies, Simply Waste Solutions (SWS), have been competing to win a place in one of the company’s two teams participating in this year’s National Refuse Championships (15 & 16 June Weston-super-Mare). Team Simply Waste achieved third place last year, and each member of the team received spa vouchers for themselves and their wives or partners. This year the races are taking place by the Beach Lawns, on Saturday 16 June, 10am-5.30pm. Along with the drivers and loaders a number of office staff are joining the teams this year, so Kevin is arranging some pre-race training to make sure everyone is well prepared. Simply Waste Solutions is also participating in the Exhibition and Seminar event on Friday 15 June, with James Capel kick-starting the seminar programme. The company is also showcasing one of its collection vehicles, a Scania S500 tractor unit. Spectators are welcome free of charge. There is an exhibition and networking event the day before the races, on Saturday 15 June, with key speakers and seminars followed by an evening of entertainment. For more information about the NRC visit www.nationalrefusechampionships.co.uk. For information about sponsorship, the exhibition or seminar contact the Event Organiser, Tracy Standing at tracy.standing@rvsl.co.uk or Tel: 07772 500 736.